We at Locksmith Fontana deemed it our personal mission to commit ourselves in delivering first-rate repair and maintenance services in auto locksmith systems, door lock installations and vehicle lockouts. It is with undying fervor that we put ourselves in delivering the most excellent service in our trade. Our history of door lock repair is something we are particularly proud of, and it is the legacy that we want to leave behind. Our company, "Locksmith Fontana", started as a service business committed to educate people that they don’t need to install a new lock when their door locks are broken. Firstly, it should be assessed, and only then after the customer knows the true state of his lock will he decide to replace it or not. Along with our basic services, we have also expanded our service portfolio in 24-hour deadbolt installation - all part of our developing trade. 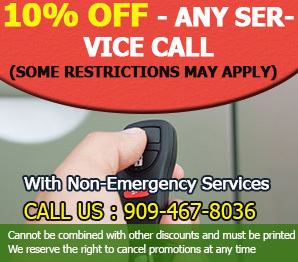 We can be contacted anytime, our hotline is open 7 days a week - 24 hours a day, and we commit to understanding the very nature of your locksmith problems and more. We pride ourselves of a hotline number that’s active any time of the day and the people behind our phones are the most welcoming people you would encounter. Communicate with us by leaving a message, or directly contact us through our hotline number. We are always glad to be of service. Let us know your specific repair and maintenance problems – be it deadbolt installations or residential lock change to lock out mechanisms and the basic door lock check-up. We also provide all types of lock installation and our product portfolio of various types of locks is expanding, more than ever. Our servicemen will be at your doorsteps in no time. Our team will conduct business with you professionally while upholding the virtues of great service people. We will be waiting for your call. Talk to us today, and get rid of that pesky little problem of your locks at home.